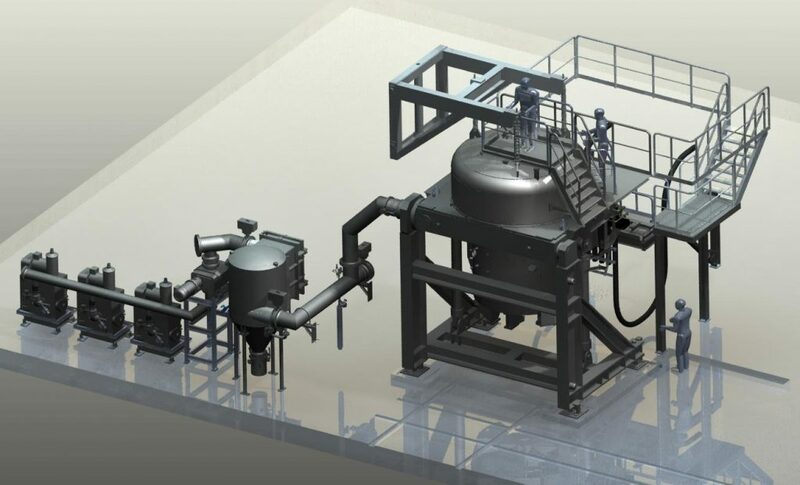 Vacuum Induction Degassing (VID) furnaces have been developed for special applications in the ferrous and non-ferrous metals industry for charge weights up to 30 tons. VID furnaces are compact, simplified and cost-effective vacuum induction melting furnaces. They are most suitable for production of steels and other alloys requiring melting, liquid metal refining and degassing in vacuum, while still allowing pouring the melt in air. VID furnaces are an attractive alternative to commonly applied secondary metallurgical systems such as ladle and vacuum degassing furnace (LF/VD furnaces). VID furnaces are particularly valuable to the alloy manufacturer for smaller heats up to 30 t based on their flexibility and lower cost production. ALD offers VID furnaces from 1 to 30 t capacity. VID furnaces enable mini steel mills and foundries to produce high quality vacuum treated steels in one step, whereas larger shops must use a multi-step process using conventional LF/VD/VOD production lines. The risk of metal freezing due to temperature loss during liquid metal transfer is eliminated with this approach. 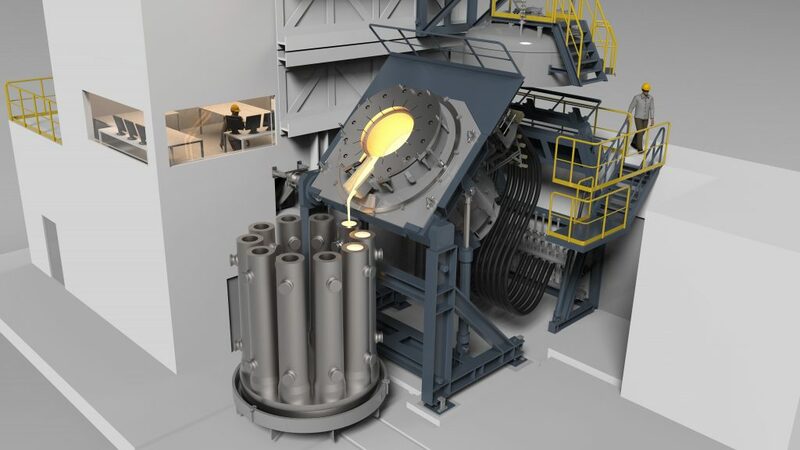 VIM-VID furnaces give mini steel mills and forging shops the opportunity to enhance material qualities and to cast their own ingots with less cost. The following VID design variations are available to meet individual requirements of our clients. The VID Pro allows pouring under a protective gas atmosphere and the VIM-VID Oxy enables efficient carbon removal by introducing oxygen via a lance into the melt.